It was a disastrous first half for the home side and Manuel Pellegrini was forced into making a double change coming out for the second half, although it didn't make much of a difference. ​Everton were able to see the second half out with ease and they strolled to a very comfortable 2-0 win. Right from the first whilst ​West Ham were outplayed by the visitors. After going behind after just four minutes they didn't respond well at all with Declan Rice and Pedro Obiang swarmed in midfield. 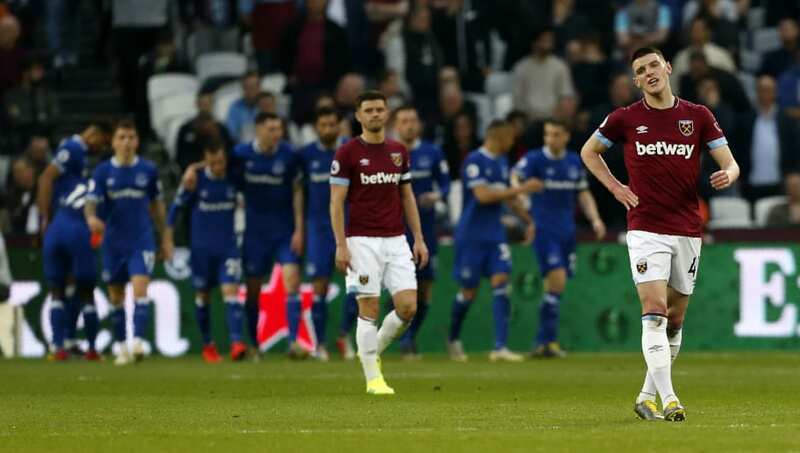 Things don't get any easier for West Ham, but their fans will still be demanding a response from their team when they travel to Stamford Bridge to take on ​Chelsea next Monday. As for Everton, their set of fans will be delighted with what they saw on the night, and will be hoping for much more of the same when they host ​Arsenal on Sunday afternoon next weekend.